MetroSonic is currently engaged in Chase Bank and Living Social’s Mission Small Business competition for a $250,000 grant! Only problem is, we need YOUR vote to qualify to be among the businesses being considered. Check out the personal message from Pete below! We need 250 votes by June 30th to qualify for the grant. 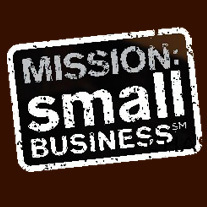 Please take the time and visit https://www.missionsmallbusiness.com/ and log in with your Facebook account. 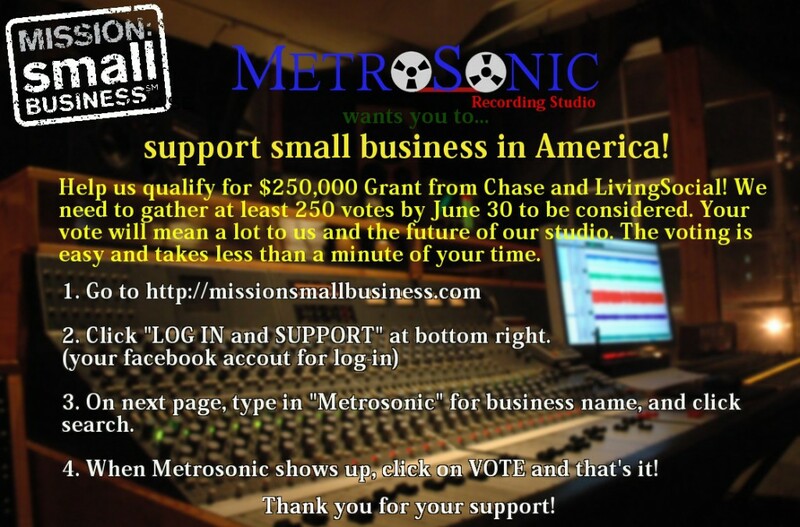 Search for “MetroSonic” on the bottom of the page and just click vote to support us. Your vote means the world to us, so please give us your support and help secure a future for MetroSonic. Posted in News, Updates and tagged brooklyn recording studio, brooklyn studio, chase bank, living social, Metrosonic Recording Studio, mission small business, music production studio, new york studio, nyc studio, recording studio new york, recording studio new york city, vote, williamsburg recording studio, williamsburg studio.